Leon R. Moore, 77, of Norwich (Plymouth), NY, passed away on Friday, March 22, 2019, at the Syracuse VA Medical Center, Syracuse, NY. Mr. Moore was born in New Berlin, NY, on March 3, 1942, the son of the late Leon A. and Lillian West Moore. 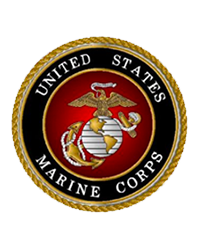 A lifelong resident of the area, he proudly enlisted in the U.S. Marine Corps on July 31, 1959 and received his honorable discharge at the rank of Lance Corporal on July 30, 1965. He had owned and operated Moore’s Well Drilling in Norwich and, prior to that, had worked for Asplundh Tree Service. He was also the former owner and operator of the West Midland Hotel in Norwich. He is survived by his children, Ken (Whitney) Hadlock of Norwich, Leon (Vickie) Moore, Jr. of Hartsville, SC, Brian Moore of Norwich, and Wade (Nicole) Moore of Norwich. He also leaves behind his grandchildren, Tiquila Cole, Andrew, Brittany, Sarah, Heath, and Vanessa Hadlock, Christopher, Hermione, Chelsea, Derek, and Devin Moore; his great-grandchildren, Martin Logston III and Natalie Stanton; brothers, Don (Carol) Moore and William Moore, all of Norwich; sisters, Carol Moore of Norwich, and Dorothy (J.B.) Taylor of Virginia; several nieces, nephews, and cousins. In addition to his parents, he was predeceased by a brother, Harold Moore. In keeping with the wishes of the family, there will be no immediate services. A graveside service, with military honors, will be held at Mt. Hope Cemetery, Norwich, NY, on Thursday, May 23, 2019, at 2:00 p.m. Expressions of sympathy in memory of Mr. Moore may be directed to a charity of one’s choice. There's still time to send flowers to the Graveside Service at the Mt. Hope Cemetery at 2:00 PM on May 23, 2019.